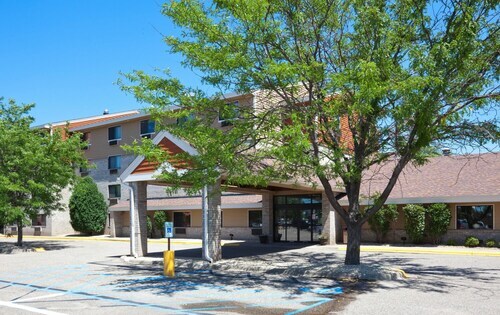 Situated in Apple Valley, this hotel is within 6 mi (10 km) of Minnesota Zoo, Crystal Lake Golf Club, and Twin Cities Premium Outlets. Nickelodeon Universe and Cascade Bay Waterpark are also within 9 mi (15 km). 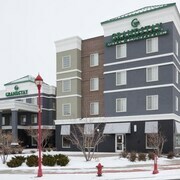 Located in the heart of Apple Valley, this hotel is within 9 mi (15 km) of Minnesota Zoo, Crystal Lake Golf Club, and Twin Cities Premium Outlets. Cascade Bay Waterpark and Murphy-Hanrahan Park Reserve are also within 9 mi (15 km). 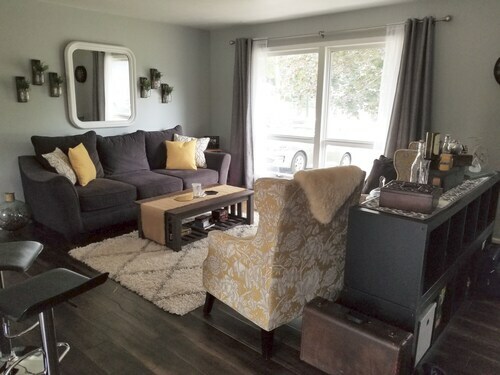 Located in Apple Valley, this family-friendly vacation home is 2.9 mi (4.7 km) from Minnesota Zoo, and within 6 mi (10 km) of Twin Cities Premium Outlets and Crystal Lake Golf Club. Nickelodeon Universe and Cascade Bay Waterpark are also within 9 mi (15 km). Situated in Apple Valley, this vacation home is 2.3 mi (3.7 km) from Crystal Lake Golf Club and within 9 mi (15 km) of Minnesota Zoo and Murphy-Hanrahan Park Reserve. Twin Cities Premium Outlets and Cascade Bay Waterpark are also within 9 mi (15 km). How Much is a Hotel Room in Apple Valley? 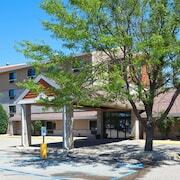 Hotels in Apple Valley start at $109 per night. Prices and availability subject to change. Additional terms may apply. If an apple a day keeps the doctor away, there isn’t a prescription pad to be found in this Minnesota town. Very well, you caught us. Apple Valley is named for a city in California and it doesn’t actually have an orchard. Instead, it is home to the state zoo and many delightful outdoor activities, which more than makes up for its misnomer. When you’re looking for a relaxing vacation among friendly locals, an Apple Valley getaway will suit you nicely. You’ll show up for the leopard exhibit at the zoo and stay for the art and culture of the Twin Cities. Luckily, hotels in Apple Valley, MN are happy to accommodate you for as long as you’re feeling “Minnesota Nice." You might call the Minnesota Zoo Apple Valley’s claim to fame. And watching those grizzly bears swim along the glass, you’ll be damned if you’re not tempted to take a sabbatical in Alaska. But once you’ve made a few new friends from the animal kingdom, you’re ready to mingle with some homo sapiens. Bid the penguins farewell and take a seat at the zoo’s IMAX Theater, where you and your travel companions will be treated to a larger-than-life film experience. Follow the call of nature to the Mall of America, just a five-minute drive from Apple Valley. Shop until you drop…or at least until you realize you’ve got to buy another suitcase for the flight home. Rental cars in Apple Valley give you a trunk to store all your purchases, and Apple Valley hotels are near most of the top attractions. Travelocity has deals on thousands of hotels, many of them in the Twin Cities area. 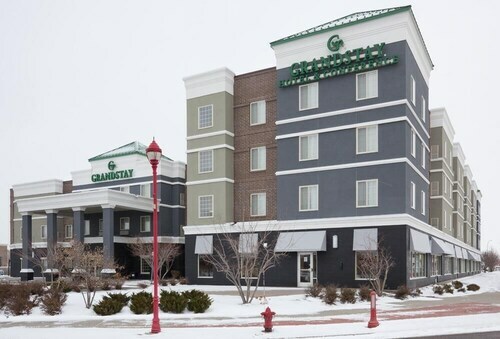 From cheap Minneapolis hotels to comfortable Apple Valley motels, you can find your good night’s sleep at just the right place. Find a cheaper rate? We’ll match it.